Flowers in Hawaii bloom all year round and the nectar of each variety can be ripened into a unique honey – and some are truly gourmet quality. 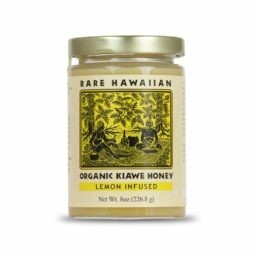 Our Rare Hawaiian Organic Winter Honey is rich, full-bodied and creamy with flavor nuances and color that may vary from year-to-year, depending upon the weather patterns and the location of the yards we use to winter the bees. Available in 8 oz. size only.